Tablets are expected to come close to outshipping desktop and laptop computers in 2014. According to the latest report from analysts at Canalys, tablet computers will account for nearly 50 per cent of all PCs bought worldwide next year. The report was released on Tuesday. 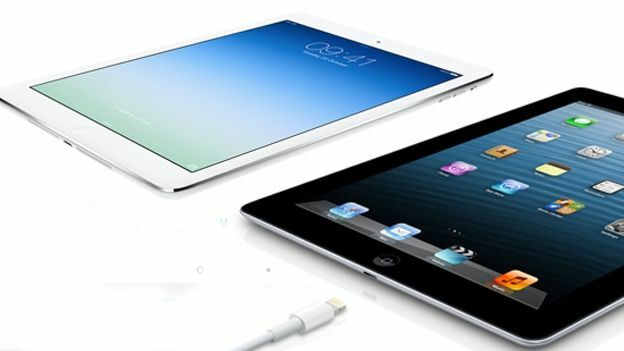 A total of 285 million tablets are expected to be shipped next year. The analyst firm revealed that tablet shipments were only half a million units behind desktop and laptop shipments in the third quarter of 2013. Apple is expected to be a major beneficiary of that growth, with the number of tablets its sells during the year increasing on 2013. It launched the critically acclaimed iPad Air at the beginning of November. It also launched the iPad Mini Retina earlier this month too. However, availability has been tight and shops are only just starting to get a hold of stock. However, despite that, its overall share of the market is expected to fall. However, Canalys says that is unlikely to phase Apple. The firm said that Apple is one of the few companies making any money from tablets. Android tablets are expected to account for 65 per cent of tablet shipments next year. That equates to around 185 million tablets. However, according to Canalys, a large number of those could end up gathering dust on retailer and distributor shelves. The competition won't be from Apple, however. Rather, small and micro-tablet makers are expected to eat into Android's market share. “With the cost and time-to-market advantages afforded by their Chinese supply chain, these small- to micro-brand vendors are eating up tablet market share,” Canalys analyst James Wang said in a statement. There has also been increased competition from retailers like Amazon, Tesco and Argos, who all have their own cheap tablets on sale in the UK.